Come on in, the water’s fine! Did you know there are soilless gardening alternatives that can produce a bumper crop, even for beginners? By using hydroponic (water-based) and aeroponic (a combination of air and mist) technology, you might not even have to get your hands dirty or leave the comfort of your air-conditioned home to reap the benefits of fresh fruits, vegetables, flowers and herbs. The idea of gardening without soil is not new. The Hanging Gardens of Babylon, irrigated by the Euphrates River sometime around the 7th century BC, was one of the first documented hydroponic gardens. Evidence of successful soilless farming has been found in ancient cultures spanning from the Aztecs of Central America to the ancient peoples of Indochina. 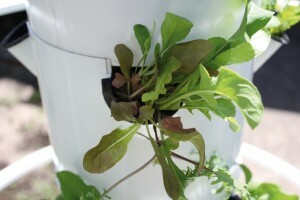 In modern times, NASA employs the use of hydroponics in its space program. 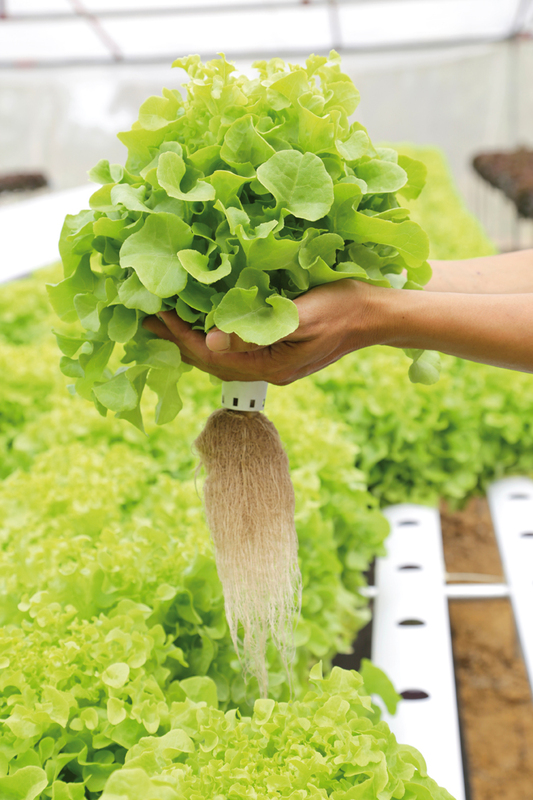 in a much shorter growing season; it’s easier to control pests and disease; harvesting is no longer a back-breaking chore; and, hydroponics can be used where in-ground agriculture is impossible. The terms “hydroponic” and “aeroponic” are often used interchangeably but there is a difference between the two. Hydroponics grows plants in a mineral solution in water, without soil. Aeroponics is a particular type of hydroponic gardening that grows plants in a contained system by spraying or misting the plant’s dangling roots with a nutrient-rich water solution. Is it “organic?” Actually, by definition, soil is a prerequisite for organic gardening and neither of these systems uses soil as its growing medium. However, because hydroponic gardening is so environmentally friendly, it is a sustainable and chemical-free way to garden. You can grow just about anything except for root vegetables with a hydroponic garden system. You can even use your own seeds. Harvesting time varies, but most varieties will germinate within days and can be harvested in as little as three weeks. Besides start-up costs, the only disadvantage of a hydroponic garden is that any failure to the system will lead to a rapid plant death. Of course, due to the overall speedy nature of soilless gardening, it also means you can quickly start over and see quick results. Mary Lynn Poe, YMCA group fitness instructor and wellness professional, learned firsthand just how quickly an aeroponic tower garden grows – and re-grows – last summer. After tending her Juice Plus® Tower Garden for only a few weeks, MaryLynn was excited about her emerging vegetables and posted pictures of their amazing growth each week on Facebook. But then, the June Derecho struck and wiped out her crop. After the storm uprooted her garden, she had to start all over, but in no time, was enjoying fresh salads once again. Start small and focus on one type of plant: herbs, lettuces and flowers are a great place to start. Select 3-5 plants and decide if you are going to set up your garden indoors or out. By considering the space and sunlight available to each of your plants, you might find it possible to move your plants from one locale to another as you capture the sun. There are different types of systems for purchase, big and small, and you can even make one yourself using little more than a sealable storage bin and some basic supplies found in the aquatics section of the pet store. The Internet is rife with sources for purchasing a store-bought system and plenty of how-to guides for making your own. 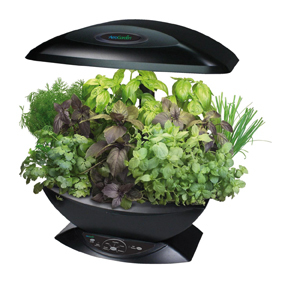 One of the best-known brands for indoor hydroponic gardening is Aerogarden. It can be used to germinate seeds for future transplanting outdoors and it is especially adept at growing herbs like basil, mint and even lavender right on your kitchen counter. Everything you need to get started is included with the kits, which range in size from a cute little 3-plant indoor garden that resembles a ladybug to a fully automated multi-plant gardening system. Your indoor garden will require little more than the weekly maintenance of adding water to the reservoir when indicated. No weeding, tilling, kneeling or getting dirty! If you have a 3-foot square area outdoors that receives a lot of sun, you might consider a TowerGarden, which can grow up to 20 plants at once because it is vertical – reaching up to 5 feet tall. With an extension kit, your garden can expand even larger. Chefs in urban areas are known to use tower gardens on their restaurant rooftops. 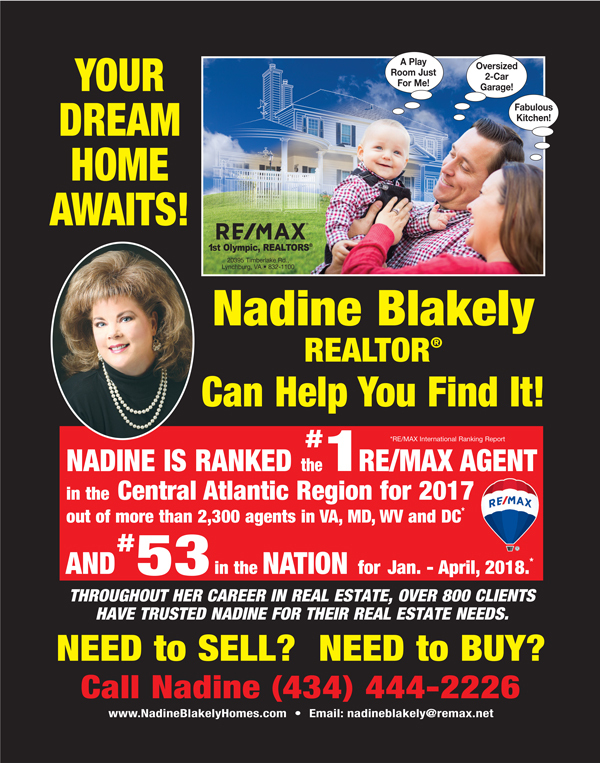 All you need is a level site with a clean water source nearby and an electrical outlet. By placing your tower on a rolling dolly or even a rubber doormat, you can easily rotate your tower to encourage uniform growth of your plants, especially if you’ve situated your tower in a corner on a balcony or patio. Your weekly maintenance of a tower garden will consist of adding water to the reservoir and testing the pH balance of the water/nutrient solution to ensure that it is in an acceptable range. 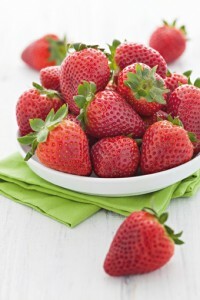 The health benefits of tending a garden extend beyond the nutrition of the produce. Working with a non-traditional garden such as these makes the task accessible to anyone. Seniors can harvest from their kitchen counters and hesitant youth are impressed when veggies become the stuff of science fiction –cool, dude! Put away your trowel and take a dip into hydroponic gardening.